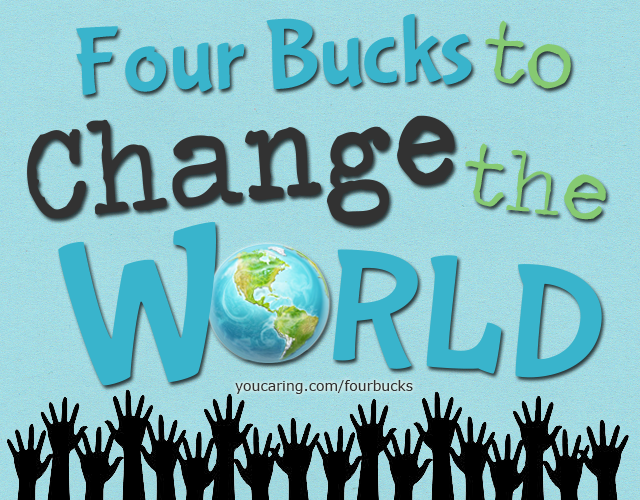 Maggie is one of the four recipients in my Four Bucks To Change The World project to celebrate my 40th birthday. I have been dear friends with Maggie’s mom, Jodie, for the past 10 years. We have worked together in various education endeavors and spent time in each other’s homes. I love Jodie dearly. She has taught me much about living with purpose, loving deeply, and seeing infinite possibilities in the world and people around us. She is a woman of vision and determination. Maggie was born in the early morning hours of summer. She would be my first, my daughter, and the culmination of a dream I had once thought might never come true. Of course, we anticipated our babymoon would be spent counting her perfect fingers and toes, kissing her little pink body and taking in the scent of that beautiful newborn head. We were blindsided by the unexpected. When she finally arrived she was non-responsive. 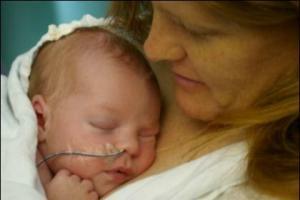 Our limp little girl was whisked away to the Neonatal Intensive Care Unit (NICU). We felt like deer staring into the headlights of a MAC truck. Maggie had brain damage. The news came quickly and horribly. Doug and I entered the NICU and saw our tiny baby wired, tubed, and needled. She lay limp, her little lips quivering, and black eyes frighteningly empty. How could this be the rolling ball of life that filled my womb just moments before? From her very first moments here, we committed to give Maggie everything she needed to blossom. We used music therapy, cranial sacral therapy, homeopathy, brain gym, kangaroo care and good ‘ol breast milk. Surrounded by babies that had been in the NICU for months, those dark eyes quickly filled with life and Maggie was released only three weeks after sustaining a traumatic brain injury. It’s been seven years since the MAC truck of brain injury hit our family. Maggie’s days have been filled with trillions of hours of feeding, endless trips to therapy sessions and specialist appointments, with little brothers and sister in tow from office to office to office. AND . . . thanks to donors like you, Maggie’s days have also been filled with birthday parties, swimming, hiking, beaches, snowshoeing, horseback riding, biking, movies, playing games, friends, learning to read way earlier than her mom even knew, loving math, freedom in an electric wheelchair, finally sitting up in the bathtub, doing chores, speaking with the iPad, and calling friends on the phone. What of the next ten years? Well, that’s just the Magic of Maggie. When you’re told that you’ll never be able to walk, or talk, or feed yourself, or have a family of your own then, really, the door of possibilities just swings wide open! Dreams, belief, determination and opportunity are the four pillars of a miracle. Maggie has the dreams, the belief, and the determination. You can help Maggie access opportunity. Eagle Eyes: a program that would allow Maggie to communicate her own thoughts using the movement of her eyes. Here is a video describing this awesome communication system. The Upsee: A standing mobility system that would allow Maggie to participate in play, work, and learning in ways that she has never been able to before. Here is a video by the mom who invented the Upsee showing how it works. Horse (Hippo) Therapy: “In riding a horse we borrow freedom.” says Helen Thompson. Hippo therapy has a host of benefits such as strengthening core muscles, relaxing hips, and encouraging better speech therapy results, but more importantly it brings confidence, comfort and joy to the rider, not to mention sweet, sweet freedom. Watch this video to learn more about hippo therapy from the National Ability Center’s Equestrian Program. Here is a Maggie riding her horse – get a tissue, I always cry when I see her on the horse. Anat Baniel Lessons (ABM): ABM is a method of helping the brain re-pattern and organize itself through specific movement of the body. It has helped individuals develop body function that they previously didn’t have. The sessions are called “lessons” rather than “therapy” and the participants called “students” rather than “patients” because of the learning the brain does during the session. This has become our preferred therapy because of the remarkable results we have seen in Maggie in comparison to the hours and hours we’ve spent in traditional physical and occupational therapy. Here is a video showing the effectiveness of ABM. Through the gift of her disability, Maggie has become a teacher of love, ability and healing. She has inspired people across the globe to live better and more fully, and to reach out in small and simple ways to make the world a better and sweeter place for all through family philanthropy. She is a bridge builder, a We Sherpa. 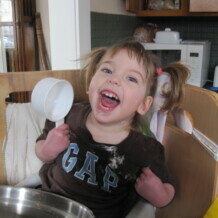 We hope that your family will be inspired to provide Maggie the gift of opportunity as she pursues miracles in her life. But even more importantly, we hope Maggie will inspire your family to regularly take up causes of good to support. Regular people, honoring the principle of giving have, do, and will make the greatest impact for good in the world. Click here to give four bucks to Maggie!